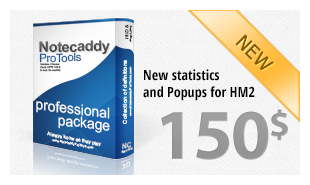 More than one and a half years of experience with NoteCaddy in creation and testing lots of definition/ stats, at last we understood what could really help you to improve your game and understanding of your opponents. 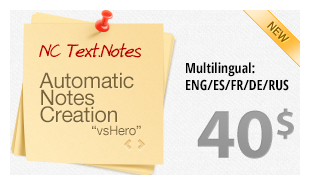 Notecaddy Pro.Tools: Professional collection of definitions/stats and pop-ups. NoteCaddy Test.Notes: Automatic creation of text notes on opponents with whom you play. Now you will always know how they play against you. 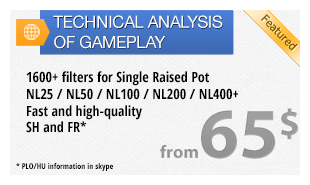 The technical analysis of gameplay/database analysis: this opportunity for new analysis of gameplay. Will help you to correct more quickly and effectively those situations that hinder to your fastest growth to limits.To use this service, it is necessary to send to us archive with played by you "hands" and after data handling, in 5-10 hours you will have a file report with the detailed list of leaks of your profit.